I was an American sixteen-year-old the first time I read Wuthering Heights. We had nothing in common, Emily and I. She was a grown woman when she wrote Wuthering Heights, a Victorian recluse, living in a stone parsonage at the edge of the Yorkshire moors. I was a high school kid living in Ronald Reagan’s America. What could she possibly have to say to me? At home that night, I cracked the book open. I had no choice; Miss Warren gave pop quizzes. A few pages in, I was no longer grumbling, I was gone. Hooked. Totally blown away. I knew this place, Wuthering Heights. I knew the moors and the towering crags, and the aching sense of isolation they imparted. I knew the gray, melancholy skies. The deep nights. The wind sighing in the fir trees. The strange feeling of homesickness for a place that had never been my home grew. I was mystified by it. Unsettled. Unhappy. Kind of appalled. It scared me, this knowing. It made me sit up straight. Made my heart beat faster and my hands shake. Because I had no idea how I knew. I’d never been to England, never seen Yorkshire or its moors. My life was lived in a little town of green lawns, picket fences, and golden retrievers named Kyle. It was sunny there, not stormy and windswept. I didn’t go for walks on any moors. I went to pep rallies and cheered for the home team. I went to the mall with my friends. I made goo-goo eyes at senior boys. Went to McDonald’s. Ate Big Macs. Lived my McLife. In the days that followed, I kept reading. And as I did, I found myself becoming more involved with the story. The strange feeling of homesickness for a place that had never been my home grew. I was mystified by it. Unsettled. Unhappy. Kind of appalled. After all, Wuthering Heights wasn’t your typical warm and fuzzy home. It was so wild and windy there, so remote and dark and untamed, so dangerous. Headcases lived in that house. Their names were Cathy and Heathcliff and they were totally out of control. Wild and passionate, selfish, obsessed, and insane. They loved each other, but it wasn’t lovely, their love. It was fierce and overwhelming and destructive. I aced the quizzes, finished the book, got a decent grade on my paper, and let it go. I wish I could say the book had changed me totally then. I wish I could tell you it made me a deeper, smarter person overnight. Insightful. Enlightened. A budding writer. An artist-to-be. But it didn’t. That all took time. Years, in fact. Two weeks after I’d read Wuthering Heights, I was pretty much the same clueless kid I’d been before I’d read it. Cathy and Heathcliff taught me to risk, to dare, to love. To love people, books, art, ideas – with passion, with feeling, and with little regard for the consequences. I thought I’d left Cathy and Heathcliff behind when I turned my paper in. What I didn’t know, is that they hadn’t left me. In fact, they stayed with me all my life – two of the most brilliant, original, unforgettable characters ever written. And as I grew up, they taught me to risk, to dare, to love. To love people, books, art, ideas – with passion, with feeling, and with little regard for the consequences. They challenged me to enlarge my view of the world. Looking back, I saw that I wasn’t just a kid from the ‘burbs when I was reading Wuthering Heights. Because of Emily Brontë’s genius and her imaginative powers, because of her ability to make me feel and see the world she’d created, I became Cathy and Heathcliff. I became Linton and Nelly Dean and Hareton. I became the house, the moors, the wheeling birds, the sky above them. I felt their joys and sorrows. I was transformed into something more than myself, something that transcended gender and race and age and time. Because that’s what good books do. They enlarge you, remake you. They open your eyes, your mind, and your heart. 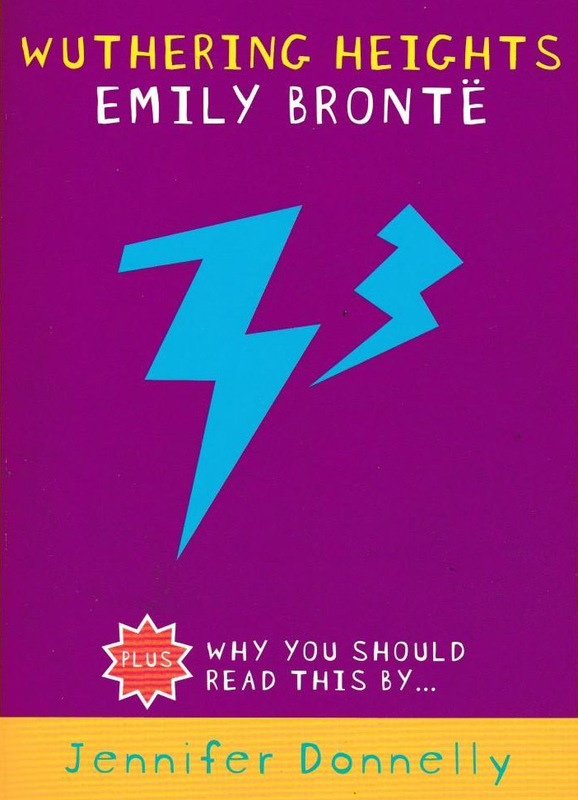 Years after I first picked up Emily Brontë’s amazing book – many years – I finally found that place she wrote of – Wuthering Heights. Or maybe it’s more accurate to say I recognized it, for it had been there all along. Wuthering Heights wasn’t a place I could find on a map. No directions could ever have taken me there because such places don’t exist in the real world. Wuthering Heights, it turned out, is a place in the soul. This essay appeared as an introduction to a Bloomsbury Publishing UK edition of Wuthering Heights. More information is available here. Previous: Lost in a Book is On Sale! I confess I didn’t really connect to this story until I heard Kate Bush’s “Wuthering Heights.” Suddenly the passion-to-the-point-of-insanity made sense. Great TV miniseries starring Tom Hardy, too.